Professor Daniel Hunt had Ph.Ds in Cybernetics and Synthetic Biology, but not only was he no medical doctor, he had the bedside manner of a highly annoyed badger. “Thank you, Professor. We’ll handle it.” Dr. Tate tried his best to mimic the annoyed tone he heard in his boss’s voice but if Hunt noticed, he ignored it. The medical team was the finest in the world. When both the Japanese and British governments had given Hunt a virtual blank check in order to use his experimental techniques to rebuild the horribly disfigured and crippled Mikiko Jahn, a young technician who had been burned beyond recognition while trapped in a control room next to a melting reactor core, he called in the finest practitioners in each required field from all over the world. Benjamin Tate and Allie Ramirez were the attending physicians, Rosemary Shelton was one of the three top neurologists on Earth, Brent Patrick was the best reconstructive surgeon in Europe and the Americas, and the much beleaguered Edward Simon was chief anesthesiologist. “I think we can lower her body temperature to achieve basically the same effect.” Shelton was talking to Simon but expecting Hunt to listen. “Induce coma through extreme hypothermia, Doctor. Excellent idea, especially under the circumstances.” Simon turned to Hunt smiling. Dr. Daniel Hunt was of mixed Scot-Irish background. He had pale skin with the obligatory freckles and a flaming mop of scarlet hair complete with matching eyebrows, but if he’d ever cracked a grin, no one had ever seen it. He stood at the back of the room watching the doctors and the rest of the medical team work on what was left of Mikiko Jahn (which wasn’t much), arms crossed and his face glowering. Actually, there had been two miracles. The first was an experimental treatment invented by Kenji Tsukioka at the Tokyo Medical Center in cooperation with and funded by the Atomic Energy Commission of Japan. There was always the chance that a disaster such as Fukushima could happen resulting in a person or people being suddenly exposed to extreme levels of radiation. Also, with North Korea having test detonated nuclear devices, the first five years previously and the second not quite two years ago, there was the danger, however unlikely, that Kim Jong-il might decide to turn those weapons against the Japanese. In either case, it was vital to develop a method of treating severe radiation exposure. When Dr. Tsukioka heard about the accident, about the victim, he was already prepared when she was brought into the medical center. He wasn’t prepared for the level of disfigurement she had suffered. The patient only had stubs where once had been four limbs. She had no hair and in fact, all of her outer skin had been burned off. Conventional medical techniques for treating burn victims saved her life and prevented infection, but radiation poisoning would have killed her within hours if the experimental treatment had not been effective. A week later, Dr. Hunt “met” Jahn for the first time. She was wrapped in gauze and arrayed in all manner of electrical wires, tubes, and devices, all dedicated to keeping her alive. In any case, her appearance and the extremes of her injuries seemed to affect him not at all. He had earned the name “Iceman” honestly. Her exposure to radiation was still killing her, but this time she had weeks, not hours. One of Hunt’s proposed treatments had to do with locating and removing any of the remaining radioactivity within the young woman’s body using a series of remotely controlled “nanoprobes,” which would also at least partially repair the cellular decay. 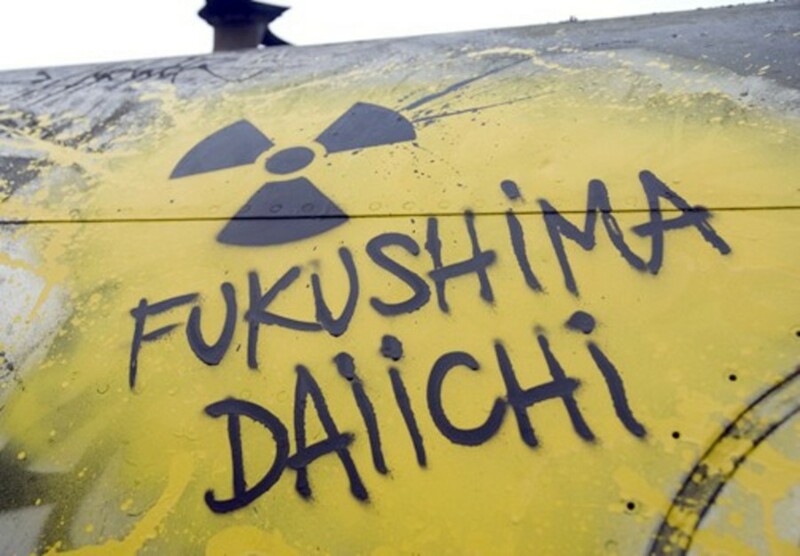 Between Tsukioka and Hunt, extreme radiation exposure was now the least of Mikiko’s concerns. “I believe this will do it, Doctors.” It was twenty-four hours later and Hunt held what looked like a small computer chip between his index finger and his thumb. Shelton leaned closer to the object and adjusted her eyeglasses. “What is it? Some sort of neurological device?” Tate and Ramirez were sitting across the conference table from them trying not to look impressed. In fact, they were extremely impressed with Hunt since he seemed to spawn new and revolutionary innovations on almost a daily basis. On the other hand, he was so obnoxious, that they started hating him within thirty seconds of being first introduced, hence the feigned aloofness. Hunt had been looking admiringly at his creation which he was still holding up for inspection. Now he looked up at the team sitting around the table. The rebuilt Mikiko Jahn was still standing mutely in front of the Kirariot Ginza shopping center, staring impassively. The momentary feeling of grief, pain, loss, and extreme loneliness had been suppressed and replaced by a sense of calm and well being. A gift from Daniel Hunt, one of his first to her as she was told. Mikiko started walking again, intending to have a late lunch at Sushidai. True, it was for tourists, but she’d heard the Akami Zuke was very good. Not long ago, I wrote a short story called The Reconstructed Woman about someone who had been all but fatally burned by a breached nuclear reactor during an atomic power plant disaster in 2011. She was saved by innovative and experimental medical and technological techniques that resulted in her being constructed largely of biosynthetic substances and systems that closely resemble their biological counterparts. They can be made in the laboratory and implanted to actually improve human physical abilities. In the story above, you can see some of Mikiko’s earliest traumas and how they were managed including the ability to control her emotional states. Does this mean she can’t think for herself and that she is now more of a programmable robot than a person? We’ll have to discover the answer in future stories. The next chapter is Woman Under Repair.